Cinder block and poured concrete slabs are both popular foundation choices. These materials are inexpensive and relatively easy to use. They create a solid, even foundation on which to build a house, shed or other structure. However, despite all their similarities, cinder block and concrete have some differences. One difference is the cost of these foundation materials. Cinder block and concrete have largely replaced stone foundations. 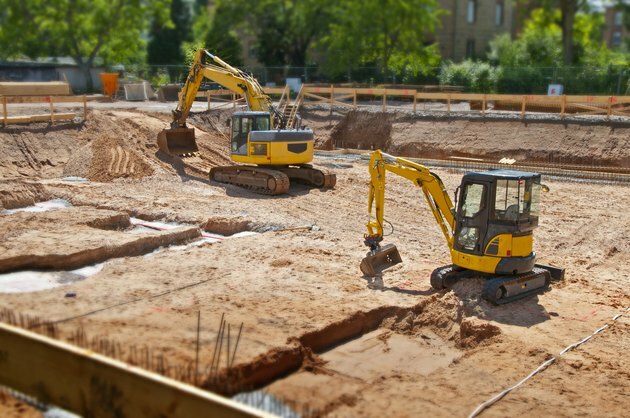 All foundations require grading and a subbase of sand or gravel in order to provide proper drainage and a level structure. As of February 2011 and according to the Concrete Network, grading costs around $50 per hour, with costs depending on the amount of dirt you need to move. Buildings on hilly sites will require more grading. Subbase costs about $12 per cubic yard. 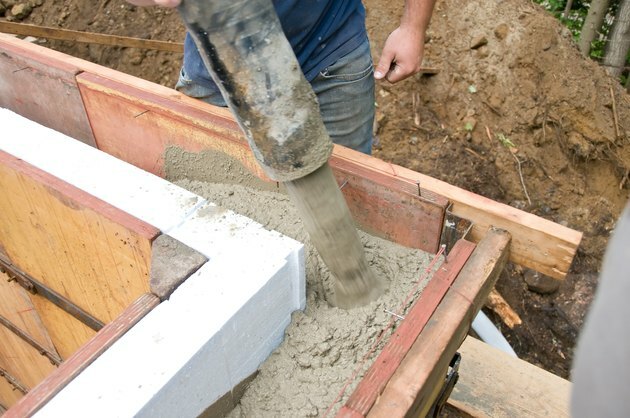 According to the Concrete Network, the majority of the cost of a concrete foundation is the concrete itself. The price of concrete varies by region, but as of 2008, it averaged around $75 per cubic yard, or just under $3 per cubic foot. Concrete also requires forms and finishing work at between $1 and $1.50 per square foot and reinforcement with rebar or mesh at a cost of about $.10 per square foot. 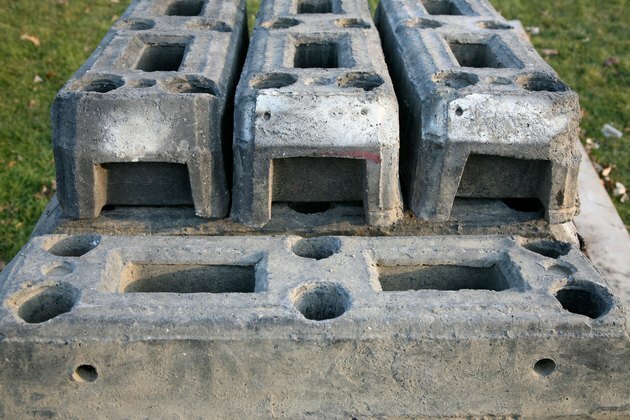 Cinder blocks require less special equipment to put in place than poured concrete, and are easier to lay yourself. According to the National Association of Home Builders, conventional 8-inch concrete cinder blocks cost around $1.46 per square foot of foundation before installation. Contractors may charge as much as $1.00 per square foot for installation. Extras can drive up the cost of both a concrete foundation and concrete block. 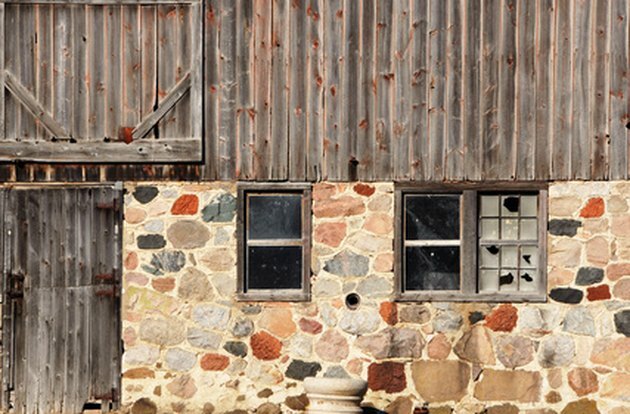 For instance, an exposed poured concrete foundation may be colored or faux-finished to look like stone. This can increase the cost of your foundation to as much as $4.50 per square foot. 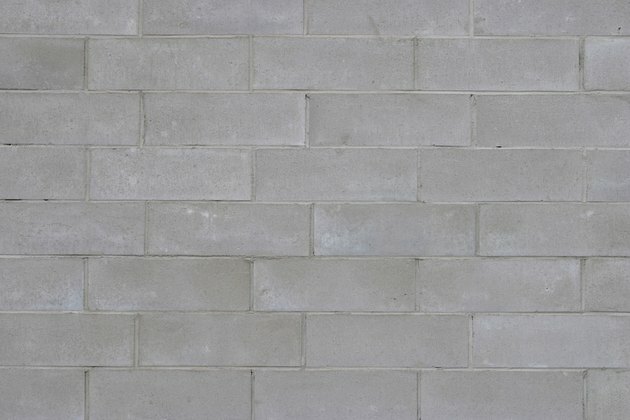 According to the NAHB, specialty concrete blocks, including autoclaved aerated concrete (lightweight insulative blocks) and split-face blocks that look like stone, bring the materials cost up to around $2.50 per square foot. These blocks also provide practical and decorative advantages.